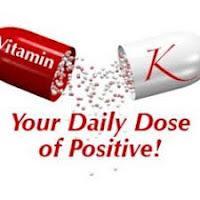 My colleague, Kelvin Ringold, does a Daily Dose of Positive email (called Vitamin K) and this year expanded into doing podcasts that are informative and motivational. Knowing my interests, Kelvin asked if he could interview me. The result is a 39-minute podcast below on what innovation is, how to make room for it, and tips for brainstorming and getting started being innovative. The episode page includes links to relevant resources. If innovation and brainstorming interest you, take a listen!